VATSIM.net View topic - Is there anyway to stop floating aircraft? Is there anyway to stop floating aircraft? - Sat Jan 26, 2019 6:47 pm #530279 I know that this is common because of the different flight sims on the network but literally every plane at EGCC is floating. Is there a way to lower them in my settings or something? - Sat Jan 26, 2019 8:17 pm #530281 Swift, the new pilot client (currently in beta test phase) brings all aircraft to the same level as the player's airport/ground elevation. - Sun Jan 27, 2019 4:37 am #530286 vPilot has this feature. Are you using vPilot or another client? - Sun Jan 27, 2019 11:13 pm #530308 Guessing this is xSquawkbox. 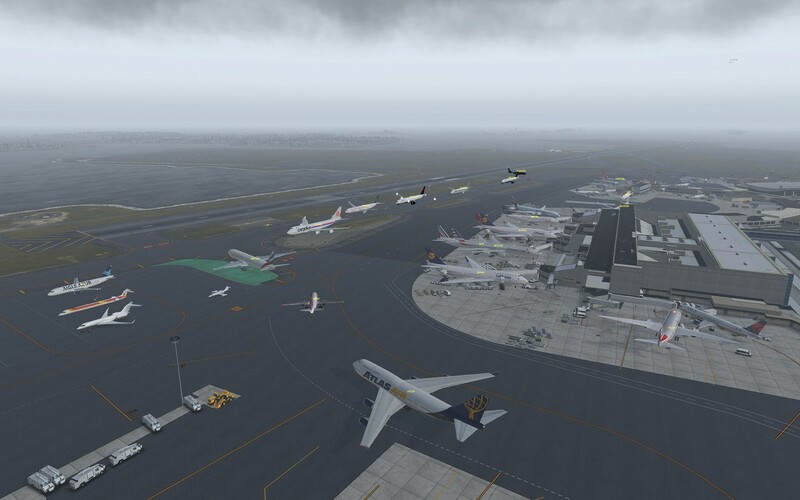 There's a lot of floating going on with it, because A, it doesn't correct for it; and B, the other users will not only potentially be on FSX/P3D with different elevations, but since XP offers non-flat aerodrome surfaces as an option, 50/50 of XPers around you will be on completely different elevations as well. The next version of xSB is said to include ground elevation correction. When it arrives is anyone's guess. The latest progress update came out last July. PS: you can see one aircraft, an Iberia CRJ900, "eating dirt". Explanation: this pilot had just connected when I took this screenshot, before Swift moved it to the correct altitude.